Jesse Core out as CEO at Core Brewing & Distilling Co.
Jesse Core, founder of Core Brewing & Distilling Co., has stepped aside as CEO, the company announced today. Core, who started the brewery eight years ago, will become chair of the company’s board of directors. The change is effective immediately. In his new role, he’ll transition toward special projects, investor relations, and brand ambassadorship. 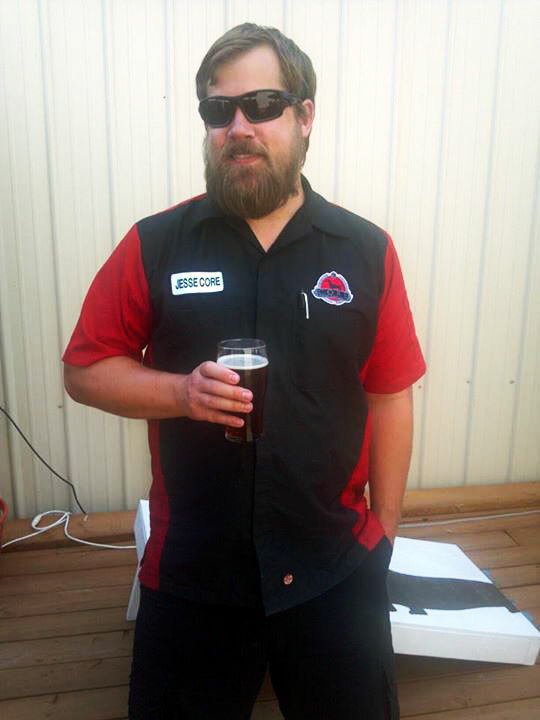 Core founded his brewery using a 1-barrel system with several small fermenters in September 2010. He delivered two kegs to local bar Kingfish once a week, and took feedback from customers to help refine his recipes. The company grew and went on to build a 25-barrel brewhouse in Springdale in 2012. The board appointed Christopher Reed as the new CEO. Reed previously led the company’s sales and marketing division, and will now assume responsibility for the day-to-day operations. Reed immediately promoted two members within the Core team. Ron Schmidt has moved from head brewer to director of operations, and Rodrigo Medina was promoted to head brewer. Medina is responsible for many of Core’s newest beers, included several New England style IPAs and imperial stouts. “Rodrigo’s creativity and artistry is unparalleled, and we feel confident that he will elevate the expectations of the Arkansas craft consumer,” Reed said. Additionally, two new board members were appointed, including Bernie Adcock, chief supply officer at Tyson Foods, and Rich Pascucci, former chief growth officer of Pabst Brewing Company. Bike Rack Brewing Co. is being sued by one of its co-founders, according to a report from the Northwest Arkansas Business Journal. A lawsuit filed in Benton County Circuit Court shows that Steven Outain, a co-owner of the brewery and its chief development officer, has sued the other co-owners along with the company, with allegations of a breach of fiduciary duty and disregard of the company’s operating agreement. Outain is seeking $2 million in punitive damages. Court documents show a clear internal strife that has developed between the co-owners this year, which has led to a disagreement over the worth of the four-year-old company. The company grew its production by nearly 25 percent last year, according to the Arkansas Alcoholic Beverage Control Division’s most recent permit report. Bike Rack has two locations in Bentonville, and will soon open a third location in downtown Springdale.